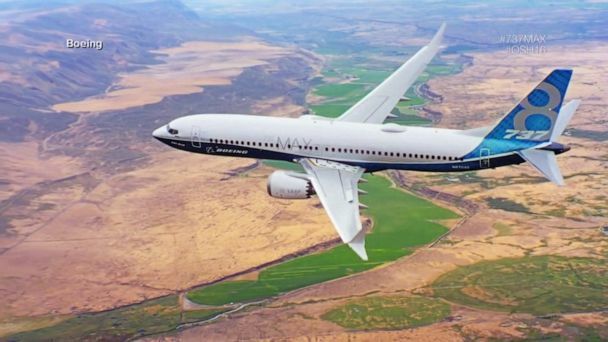 Follow the latest Boeing news, videos, and analysis from ABC News. 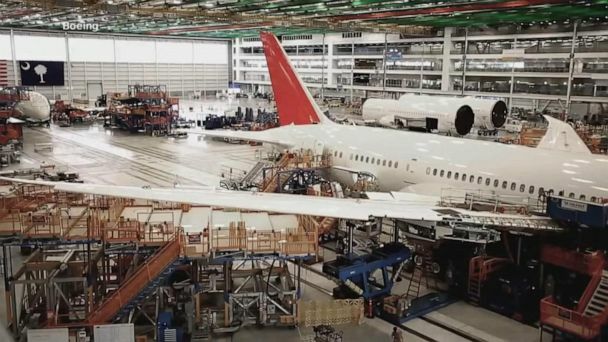 A new report from The New York Times raises quality questions about the production of the Boeing 787 Dreamliner at a plant in South Carolina. The New York Times reporting that workers at a plant in South Carolina have complained about shoddy work on the 787 aircraft. 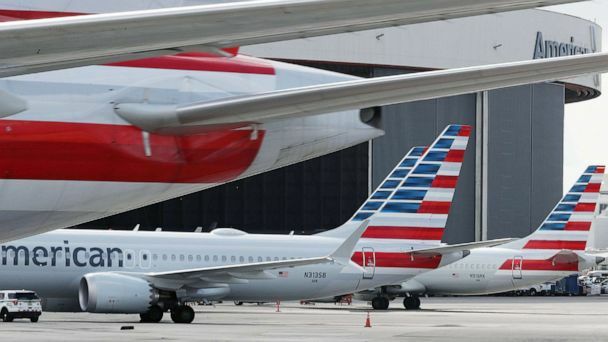 The airline announced Sunday that it will cancel approximately 90 flights per day through June 5, "in an effort to provide more certainty and avoid last minute flight disruptions." The world's largest airline said it's canceling about 90 flights per day. 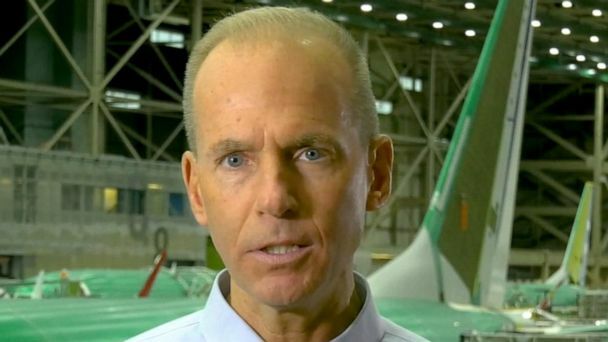 The plane manufacturer's CEO, Dennis Muilenburg, for the first time acknowledged a direct link between downed Ethiopian Airlines Flight 302 and Lion Air Flight 610. A sensor malfunctioned seconds after takeoff in the Ethiopian Airlines crash; sources told ABC News they believe a bird strike triggered an anti-stall system. The Ethiopian Airlines crew commanding the Boeing 737 Max 8 followed all recommended procedures but couldn't regain control of the doomed flight, investigators said. American woman Samyo Stumo was among 157 people killed in the March 10 crash. The pilots on board followed Boeing's emergency procedures, officials said in a briefing. The first lawsuit stemming from the Ethiopian Airlines crash was filed in Chicago on Thursday by the family of Samyo Stumo, 24, who was killed in the disaster. Damage sustained at takeoff led to the second Boeing 737 Max 8 crash in five months, according to a preliminary report from Ethiopian officials. The pilots "did not trim" the Boeing jetliner before shutting off power and were unable to maintain control of the aircraft, the sources said. An Ethiopian Airlines pilot followed proper emergency procedures before the crash, a new report found. 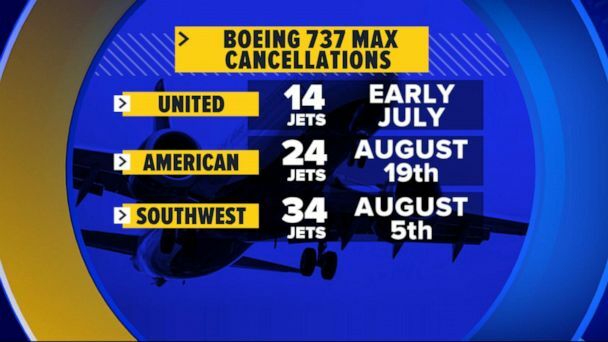 Plus, the latest on Boeing's software fix delay that will keep the fleet of Boeing 737 Max planes grounded, cancelling more than 200 flights in one day in the U.S. alone. American and Southwest, which together own nearly 60 aircraft, have been forced to cancel more than 200 flights every day. These are the first details to have emerged since Ethiopian investigators shared the fatal flight’s black box data with international aviation experts earlier this week. A new report claims the MCAS system was activated in both the Ethiopian Airlines Flight 302 crash and Lion Air Flight 610 crash. The Wall Street Journal reports there is emerging consensus that an automated system "misfired" in both the Ethiopian Airlines accident and Lion Air crash last year. Boeing's CEO and 200 airline officials, pilots and regulators visited the company to use a simulator and learn about the new software upgrade to the latest MAX planes. The FAA is expected to approve the new software sometime next week. 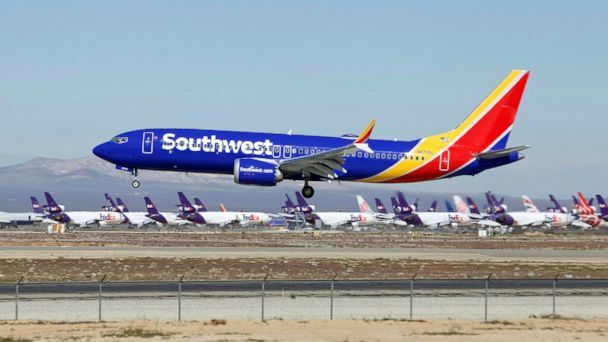 Southwest pilots planning to ferry the jet, with no passengers onboard, from Florida to California were forced to land at Orlando International Airport with just one engine operating. 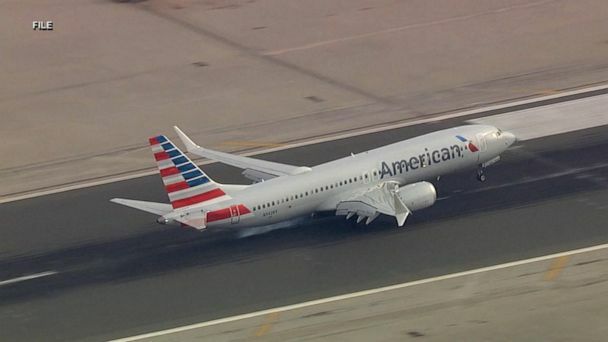 The jet, which had no passengers on board, was carrying two pilots who had planned to fly to Southern California but were forced to circle back to the airport in Orlando. This comes at a bad time for the U.S.'s trade dispute with China. After the jet was involved in multiple deadly crashes, the aircraft manufacturer works to get the model back in the skies. Pilots who tested the Boeing 737 Max 8 in a simulator found they had less than 40 seconds to avert disaster when the automated anti-stall system kicks in, according to the New York Times. 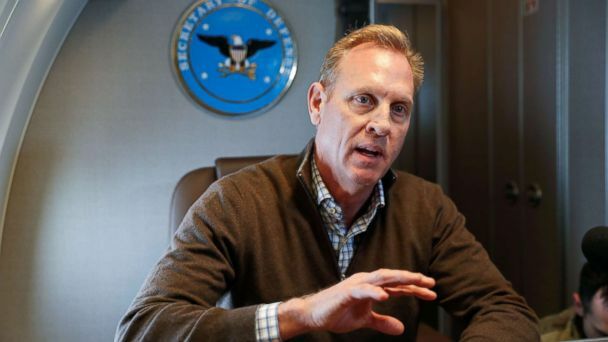 NTSB and FAA investigators have been given the raw data from the "black boxes' holding critical information about the Ethiopian Boeing 737 MAX 8 crash. Ethiopian airline CEO says that the anti-stall system was activated in second crash. Airlines had to pay extra for an additional sensors that may have saved the doomed flights. As the wait continues for more information on the Ethiopian crash, a flagship carrier in Indonesia has requested to cancel a nearly $5 billion order of 737 MAX 8s. Did Boeing charge extra for plane safety upgrades? A new report says the two 737 Max 8 jets that crashed lacked two notable safety features that may have alerted pilots to a problem. ABC News' Mona Kosar Abdi reports. 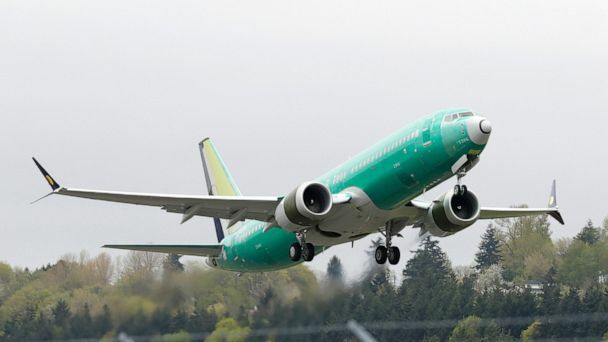 The two jets that both crashed did not have two safety features for the Boeing 737 Max which were considered premium add-ons. In the U.S., Southwest and American Airlines pay for those additional safety features; United does not but said its pilots are trained to shut off the anti-stall system if it engages incorrectly. The FBI is looking into Max 8 certification as questions surface over pilot training. 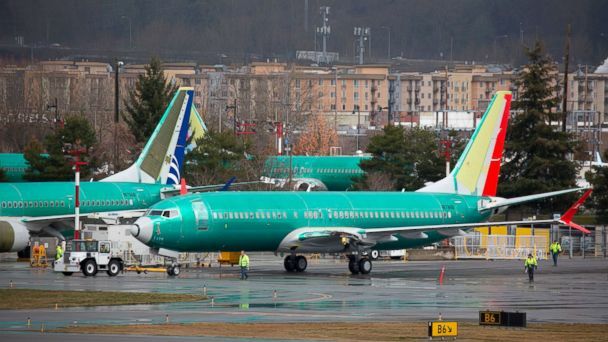 The FBI is joining a criminal investigation to look into the certification of the Boeing 737 MAX 8, as new details from last year's Lion Air crash raise questions. The federal grand jury investigation in Washington, D.C., is looking into the certification process that approved the safety of the new Boeing plane, two of which have crashed since October. Canada and the European Union are refusing to operate Boeing 737 Max planes as the investigations into the downed Ethiopian Airlines Flight 302 and Lion Air Flight 610 continue. Secretary of Transportation Elaine Chao is asking the department's inspector general to conduct a formal audit of the Boeing 737 Max certification process. A 737 flight simulator gives a closer look at flying while a plane goes down. Engineers who were involved in the evaluations of the plane -- a Boeing 737 MAX -- knew that there were flaws in the original report that was used to certify the model. Officials are looking at whether a new safety system on the Boeing Max, which was a factor in the Lion Air crash, was also involved in the Ethiopian incident. President Trump responds to Ohio General Motors' plant closure, the White House issued a new proposal for higher education and SCOTUS weighs in on racial gerrymandering claim in Virginia.